If you were in charge of English cricket, how would you promote T20 cricket? Generic broken stumps, bright colours and a prominant player padded up and playing a shadow slog over cow? 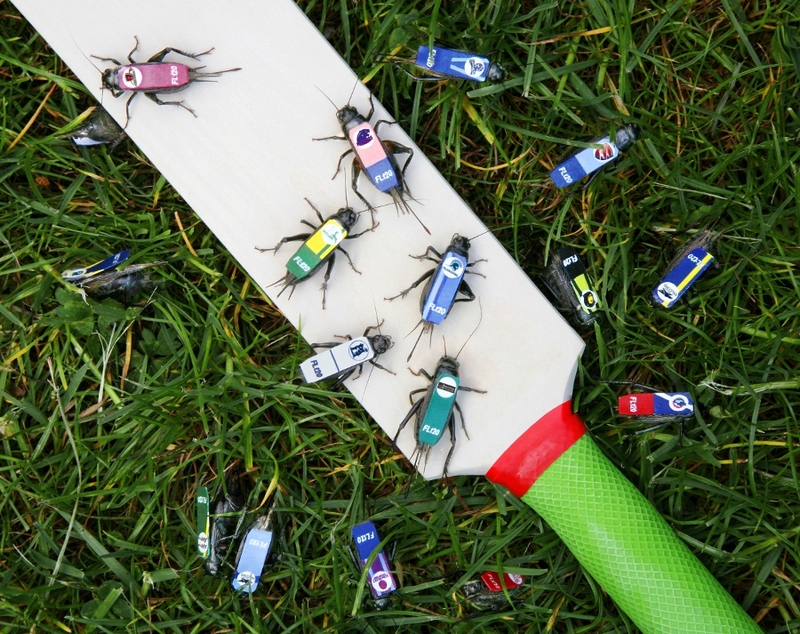 Or, you could have done what the ECB have gone for – monster grasshoppers trapped by branded lighters. Baffling.